Topic: Dryfire Tools and Tips With John and Jason at L.A.S.R. LASR App. You’ve heard it here on the Concealed Carry Podcast. This is a super cool training tool that can really take your training (if I can borrow a phrase from a partnering company) “to the next level”. If you’re like me, you cannot afford the time or the money to shoot live guns and ammo as often as you need to to be a pro, but you can supplement your training with effective, realistic dry-fire practice using LASR App. 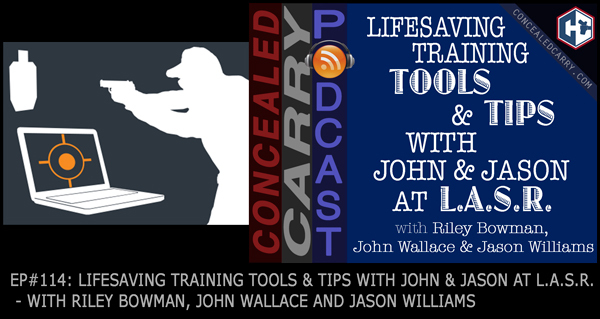 Check it out today at ConcealedCarry.com/LASR For podcast listeners only, and for a limited time, listen in to the episode to receive a special discount code to save 10% off! !